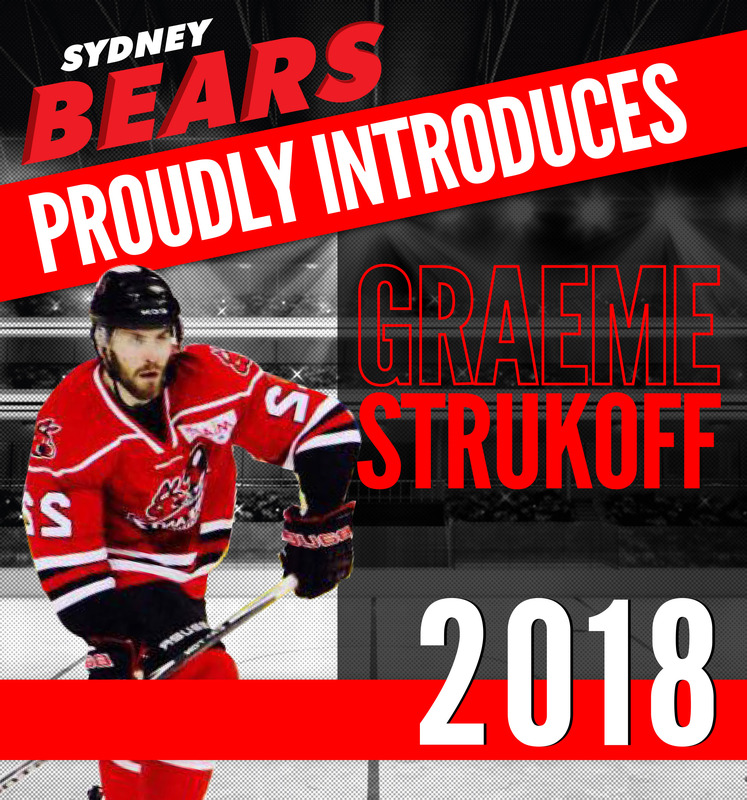 The Sydney Bears have signed Graeme Strukoff to beef up the defensive pairings for the season 2018. Originally from Chilliwack, British Columbia, Strukoff spent four years playing NCAA hockey for the University of Huntsville-Alabama where he was awarded a scholarship. Prior to his college career, he had three successful seasons in the BCHL with the Trail Smoke Eaters where he was assistant captain during the 2010-11 season. Most recently he played for the Fayetteville FireAntz in the SPHL, a team he shared with former Bears import, Nick Rivait. “I have been on many great teams, I have yet to win a championship at a high level and hope I can contribute to that in my time in Sydney. You can see Graeme in action when the Bears take the ice for the first home game of the season on 6th May @ Macquarie Ice Rink.